Ride-hailing service Lyft has rolled out a subscription plan nationwide that gives heavy users a potential savings on rides. For $299 a month, All-Access Plan subscribers get 30 private and shared rides up to $15. If the cost of a ride exceeds $15, customers must pay the difference. Lyft passengers get a 5% discount on if they go beyond the 30-ride threshold. Passengers get a 5% discount on if they go beyond the 30-ride threshold. 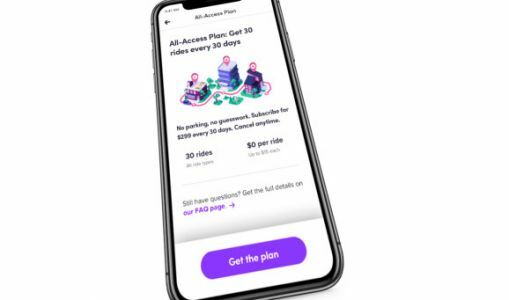 With Lyft's new All-Access Pass, riders can take 30 free rides each month, as long as those rides would cost $15 or less each.